''NO AGE RESTRICTIONS HERE!'' 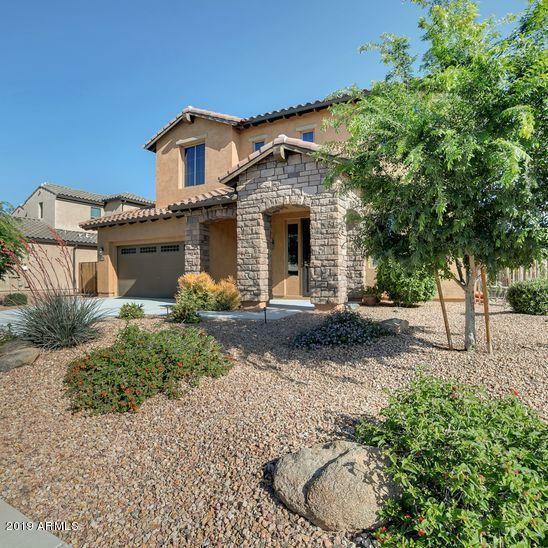 This spectacular Semi-Custom home is in the popular Peoria School District within the quiet family neighborhood of Sundero at Crossriver. It features almost 4,000 SF of living space; 6 Bedrooms, 3.5 Baths, Formal Living & Dining Rooms, Den, Gourmet Kitchen with Maple Cabinets, Granite Counters, Stainless Appliances and an island that has an open concept into the Great Room which features a Build-in Entertainment Center & Surround Sound. The Sparkling Pool has a separate in-ground Spa to relax in with plenty of privacy(no backyard neighbors). There is a side courtyard patio with pavers & fire pit, spacious 3 car tandem garage with epoxy floors & cabinets. This designer home has it all. It is a must see in North Peoria! The perfect place to raise your family!